A few weeks ago I got an e-mail from my blog friend, Bridget, telling me about her friends Emily and Tony who are adopting two girls from Africa. I've mentioned before that adoption is something that weighs on my heart - it's not something that we can do right now, but I love the idea of adoption, especially for Christian couples. When the Bible speaks about "looking after the widow and orphan" (James 1:27), I think that applies not only to couples that welcome these orphans into their homes, but to those of us who can't be involved so directly - we should still find ways to help the fatherless and the widow. So when I had the opportunity to help Emily and Tony get the word out about their adoption, I jumped on it! I may not be able to adopt myself (at least right now), but I love the idea of being able to support other Christians who are adopting. I checked out their blog, and was impressed with how they both actually write on it! A lot of times couple's blogs don't actually turn out to be written by both people (nothing wrong with that, just sayin'). I skipped back in the archives and read their story from the beginning, and there are so many ways that it was clear to me, even as just a reader, how God is orchestrating this family being brought together. So I asked Tony and Emily if they'd write a guest post for me, telling a little bit about their adoption process. Here they are to tell you a little more about themselves and their girls! Emily and I have known for several years that adoption was in our future. We had no idea how soon in the future it would be, but we both knew it was clear that God was telling us our family would grow in that way. We can remember talking about it in simple conversation years ago and it slowly evolving into something more concrete. We officially started the adoption process on paper this fall, September 5, 2012. To be completely honest...that seems like just yesterday to me. We started with a TON of training and quite a bit of paperwork. Two things we had heard would be reoccurring throughout the adoption process. Huge questions came up when we first realized that our time to adopt was now. Where do we adopt from? International? Domestic? Black? White? Asian? Hispanic? Boy? Girl? One child? Two children? A baby? A teenager? These are all legitimate questions and when you're not sure where to begin those are just a few that will wander through your mind! 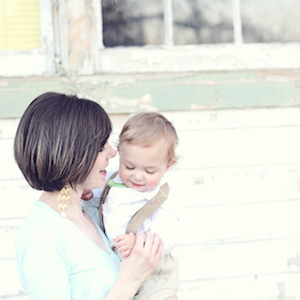 We saw so many facets to adoption that it was overwhelming to even start the process. Emily and I felt that our first big hurdle was to decide whether to adopt independently or with the help of an agency, but even before that was answered...where do we adopt from? We were able to decide early on that international adoption from Africa was on our hearts, but how in the heck do we decide what country? Well...we started to look at different countries and talking about them, but never wanted it to feel like shopping. We'd look up a country, do our research and see if we would get a sense that our child was there. Then we'd move onto another country, rinse and repeat. We relied on God nudging us toward one country and finally that happened. It came up in casual conversation by me saying to Em, "What about (insert name of our country)?" A couple of seconds went by and she responded, "Yeah...I could see us adopting from there." We prayed about it, again did our research, talked about it and that one kind of stuck. We never moved on. Fortunately for us, Emily and I are part of the Orphan Care Ministry at our church and we have a LOT of resources through the adoptive families involved there, so we immediately reached out to some of our connections with "our" country in mind. We asked several people many questions surrounding adoption, but our main goal at that time was to decide whether we should adopt independently or through an agency. Ok, ok...I'm rambling....here's Emily to finish off our story.....or at least the continue it! Tony's right when he talks about all of the questions we had. Even now, with as much progress as we've made, we still have many unanswered questions. However, today we can share that we have the answers to all of the questions Tony listed above. Today, we know that we have have not one, but two daughters! They live in East Africa (name of country must be withheld from all social media platforms until they arrive home). We know they are black and we will have the experiences of a trans racial family. We know that our international adoption is being completed independently (that's a whole other post on it's own!). We know their faces, their names and we know that they're ours! Shortly after making contact with our children's home, we received the referral for one child, a 2-year-old girl. We were told that she was sweet, shy and has a chronic health condition, but with the love and care of a family she would flourish. We were asked to pray about it, because "maybe she's your daughter." And what do you know...she is! Once we accepted the referral we were given her name, a photograph and some more basic information. We began to fall in love. In the days that followed we ask more questions and I couldn't seem to get settled until we knew more about her birth family. Tony felt the same. The answer to one question changed everything for us. She has a sister. Not only does she have a sister, but this little girl (at the time not living at the children's home) was also in need a family's care. That is when our family got a little bigger. We have two daughters! Our oldest is 8-years-old. She is very lovely, healthy and kind of grown up for her age. At the start of our adoption we didn't have a clue about the things bigger and better than our plans that lay ahead. If we had, would it have seemed like too much? Even with only a small amount of hindsight we are able to see that this story had to unfold in this way. The four of us are meant for each other. Everything so far has aligned to allow for these two girls to become ours. Some new plans on our end have had to be set in place; medical plans, education plans and financial plans. A few special exceptions have had to be made for us by folks on the other end as well. However, each new curve in the road is building our faith and each word of encouragement and helping hand blesses us in ways we'd never imagined. We can't wait for the two halves of our family to finally be together! I was so touched reading about Emily and Tony's adoption journey, especially about how open their hearts were to receiving both of their girls into their family - I can't wait to see updates on their blog of the four of them all together! Emily and Tony are getting so close to being able to bring their girls home! They are in the process of getting ready for a month long trip to East Africa, and after that they get to come home with their two beautiful daughters! 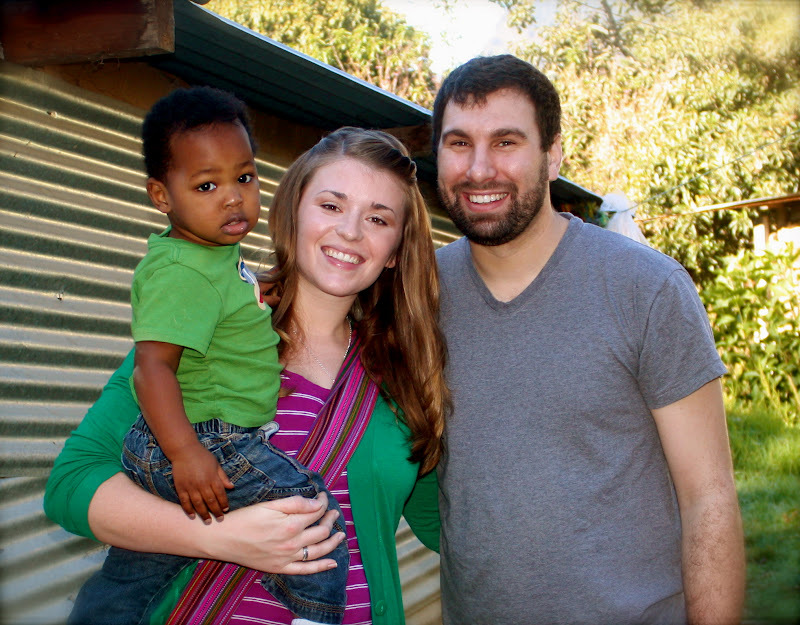 I'm looking forward to following their blog through this last exciting step in their adoption. Adoption in general is so expensive, and I'm excited for this opportunity to be a part of Emily and Tony's Valentine's Day fundraiser. From now until Valentine's Day they are asking people to consider donating 14 dollars toward the last of their adoption costs. 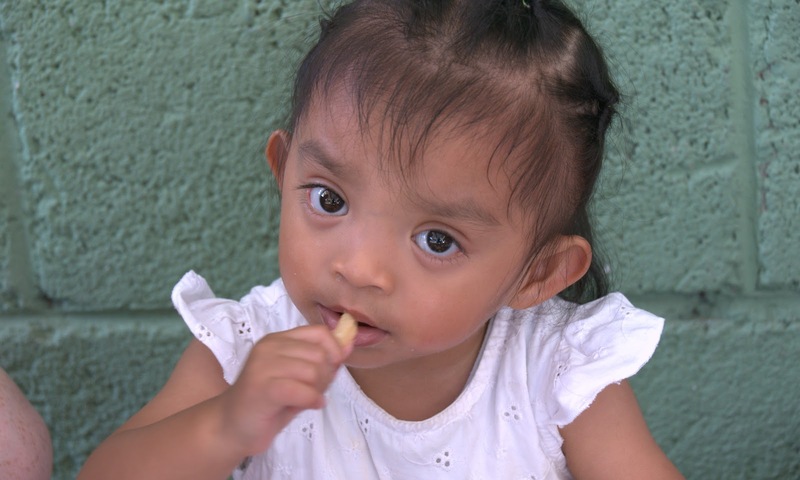 If you were touched at all by their story would you prayerfully consider donating to their adoption? This is a great opportunity for those of us who are not adoptive families to still "look after" the orphan by helping two specific orphans finally join their family! If this is something you would be interested in supporting, you can donate by clicking the button below - you can also donate anonymously if you prefer that. If you'd rather send them a check, instead of donating through a website, please send me an e-mail and I'd be happy to get their address for you. And be sure to stop over and follow their blog to keep updated on their story as it unfolds! It was just any other day - browsing my Facebook page, saw an interesting link that one of my friends shared, and I clicked. I read an article about adoption, and the writer then started talking about some of the children that were left behind in the orphanage where her two children came from. I scrolled down, looking at sweet faces of special needs kids that still needed adopting, and then I saw it. The story of a boy named Harvey. I almost skipped over it, because the pictures were so disturbing, but something made me stop. Something made me scroll up and read a little further. The boy in the pictures was curled up on his side in a crib, wearing a t-shirt and pajama pants. Skeletal-looking arms, bent and covered with hair, little hands balled into fists. A head full of thick dark hair, neck stretched back at an unnatural angle. Brown eyes, staring at something. Oxygen tube covering part of his face. I read the story. He has a lot of medical needs that aren't being met. The hair covering his arms is from severe malnutrition and because of the fact that no one ever touches him or holds him. He must be fed through a feeding tube. He is three years old. My son started to get fussy, and I could tell he was tired. I minimized the page, and with Harvey still in my mind I picked up my healthy, growing toddler and took him to his room, laid him down for a nap. I came back up and worked on some things around the house, pulled out my computer to finish some projects. Then I opened the window up again. And I stared at those pictures. I looked at the way he was curled up on his side, and it reminded me of the way my son looks when he sleeps. And I started to cry. Somewhere across the ocean is a boy laying in his crib, living a miserable existence. Bone-thin arms. Never held, hardly touched. No one to take care of him, to love him. Oh, how I wanted to fly over there right then and get him. Pick him up, hold him, cuddle him, un-ball those little fists. Tell him that he is loved. I have never met him, probably will never get a chance to meet him. But even as I'm typing this up now I have tears falling from my eyes. His pictures haunt me. I love that little boy that I have never met. Because of various things that I won't go into here, I'm not in a position to adopt him. The Lord has that door closed for now, and it's one of those things where I have to wait to see if the door will ever be opened. I want to adopt him right now. But I just can't. Oh, but if I could. . . I feel like he is mine already, even though I will probably never get to be the one to hold him, or rock him to sleep, or tell him of the love of Jesus. But in a way, he is still mine. He is mine to pray for. I skimmed over the other children's stories, but I have to believe I stopped on his for a reason. Maybe the Lord let him move my heart so strongly for no other reason than that Harvey needs someone, somewhere, who will pray for him to find a family. Someone who thinks about him, someone who wants him, even if they can't have him here. I hope and pray with my whole heart that someone will step in and save that boy. That someone will love him and give him a family, even if it can't be me. I pray that someone tells him about Jesus. And I hope that someday, when I get to heaven, I'll see Harvey there. Eternally happy and thriving and whole. And I'll hold him then, and I'll tell him how he touched me even though we never met, and I'll tell him how I prayed for him. And I won't have to cry anymore, because he'll know more love then than any human could have ever given him, and we'll both know the rest of the story. If any of you would like to see pictures of Harvey or the other children from the post who need homes, please check out this post from No Greater Joy Mom. And would you join me in praying for Harvey (and any of the other children that touch your hearts), that they will find families? My heart is raw right now, and it helps to know other people will be praying for him too. A blog friend of mine put me in contact with Christi last week, and I checked out their blog site as we e-mailed back and forth about doing a guest post. I read the long version of the story of how Christi and her husband Dan were called to adopt their son, Malakai, and pursue long-term mission work in Guatemala. Their hearts for the Lord just shines through their blog! I know the Lord is going to use them in great ways as they go to work with these kids who have no family. Christi was kind enough to write an abbreviated version of their story for this blog, and I hope you enjoy it! I just want to start by thanking you for taking the time to read the story that God is writing with our lives... and a HUGE thank you to Callie for sharing her blog space with us - what a blessing! First, let me start by introducing ourselves... my wonderful hubby Dan, I'm Christi, our sweet boy Malakai Aweke... and there's a bun in the oven due 3/18! 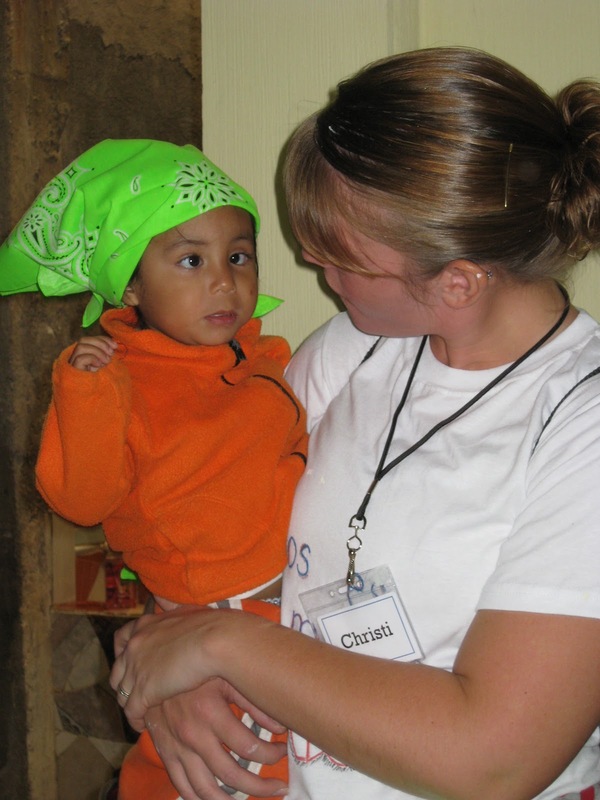 In 2003, while dating, our eyes were opened to the plight of the orphan. 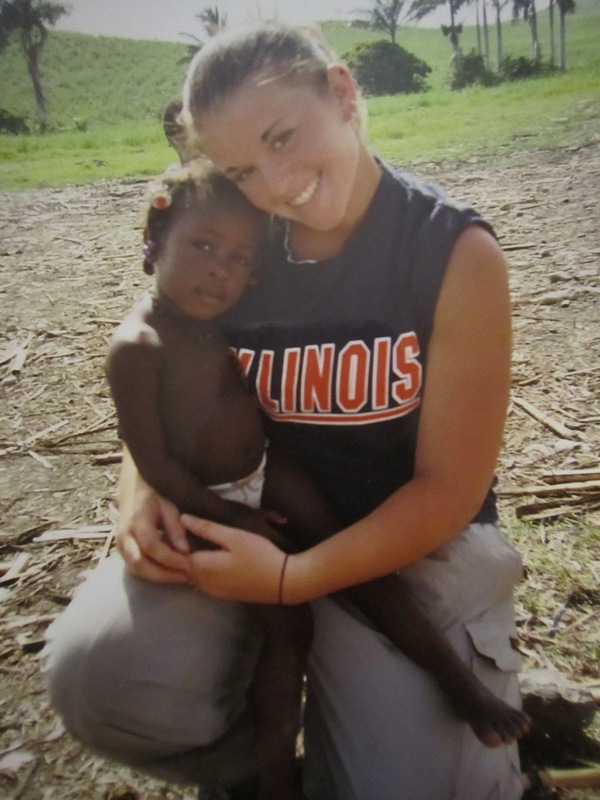 God used the trip that I, Christi, took to the Dominican Republic to change our hearts forever! About six months prior, I had been introduced to Jesus Christ for the first time in my life. As I started a relationship with HIM and dug into HIS Word, I began to see that He had plans far better than anything I had imagined. I was given an opportunity to serve overseas for about 4 weeks that summer. While I had no idea how this would happen financially, God pulled together the pieces and I left on a plane for the Dominican Republic that June. I had NEVER flown before, I had NEVER left my family for that long, I was SCARED to leave Dan, and I was serving with 30 others that I had never met! What happened over the next 4 weeks completely rocked my world! BUT I had NEVER been face to face with what I was about to experience. Many faces and stories stand out in my mind, but God used this ONE child to grip my heart forever! anyone was feeding him, and what would happen to all those precious lives! However, my wise (future) hubby made a commitment that he would pray for these children by name, listen to my stories, help me process all that I had been through, and be supportive of whatever God called me us to... just as long as it wasn't full time mission work! Upon returning, I went through a period of really wrestling with the Lord... wondering how HE could burden my heart so heavily to serve the people of the DR BUT at the same time make it so clear that now was not HIS timing! Dan was absolutely instrumental in helping me to process all that I had been through and encouraged me to continue to seek the Lord's timing and purpose. During this time, we were both challenged to dig deeper into God's Word and use our gifts to further the Kingdom. While we were serving, we had grown comfortable and were more willing to serve where and when it was most convenient for us, not really being bold in the name of Jesus! God definitely wanted me to go on the Guatemala trip! THIS TRIP CHANGED OUR LIVES! While many stories stand out in my mind, it was THESE two little girls in particular, God used to change our hearts, especially Dan's heart! Just like the DR trip, HE was using a small child to greatly impact our lives. The first photo is Milagra- a precious little girl found in a dumpster and the 2nd is Yulisa- a sweet little girl with a big heart that was attached to my hip! As God would have it, right after I applied to go to Honduras, we were sensing that the Lord was prompting me to serve in a ministry full-time... and I was THRILLED to leave corporate America! We prayed, researched ministries where I could serve, specifically in orphan care or adoption, and surrender this to the Lord and HIS timing! God then called us to my Lifesong for Orphans! God was on the move and we couldn't have been more excited to be involved in all that HE was doing in and through the Lifesong ministry! We set out on this trip knowing that God had plans for it... to spread the gospel, to love on some children without parents to call their own, to serve the widow, to encourage some teens from desperate situations, and to make an impact for the Kingdom. As I returned home and TRIED to process all I had experienced, I quickly noticed that not only was I lying awake at night crying myself to sleep thinking about the brokenness I had witnessed..... but Dan was too! He could not get enough of the stories and the photos... something was different this time! opportunities to share and advocate for these precious lives. She's got no one to tuck her in at night... does anyone care? Father, please, stir in me, OPEN my eyes to see.... GOD was opening Dan's eyes to the plight of the orphan... and it was INCREDIBLE! We were BOTH so broken... people would ask us to share about the trip and we'd both break down... it was ALL we talked about.... we were physically ill thinking of doing anything but going back! defending the cause of the fatherless. That spot in the airport is so overwhelming to me! Over the next months, we sensed the Lord calling us to adopt. We contacted everyone we could get our hands on to try to pursue these 2 sweet girls... and door after door was closed. We made a covenant with the Lord that we WOULD adopt these 2 sweet girls... whenever He called us to. We eventually received the news that ALL adoptions from Guatemala to the U.S. were closed... that we could do nothing, but pray. And pray we did. Fervently! Check back tomorrow for the rest of the story, including how their son came into their lives! Also, if you just can't wait until then, you can read the full version of their story on their blog. Dan and Christi are planning to become full-time missionaries to Guatemala, and they are still in the fundraising phase. They have to raise 75% of their support before they are allowed to go. If you are considering donating so that they can go as planned, here is the link to their donation page. I know they'd appreciate even five dollars so much! Maybe consider giving up that Starbucks I mentioned yesterday?